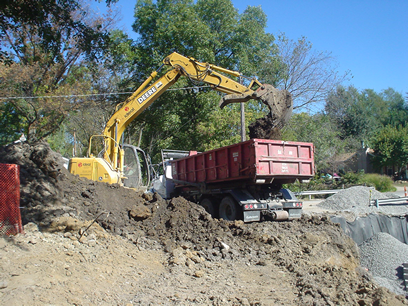 This project example illustrates our slope stability, construction services and channel design capabilities. 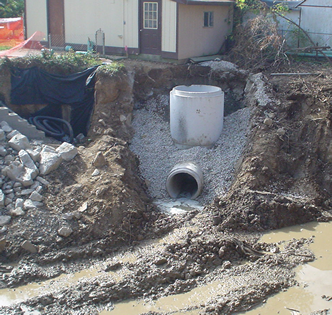 The City of Saint Charles retained Intuition & Logic to provide a brief analysis on the feasibility of restoring a channel that was planned to be enclosed in a concrete culvert and, if feasible, provide design services in coordination with Ideal Construction (the construction company already retained to install the culvert). I&L evaluated the channel in HEC-RAS using existing contour data from the City GIS system and field observations for roughness coefficients. 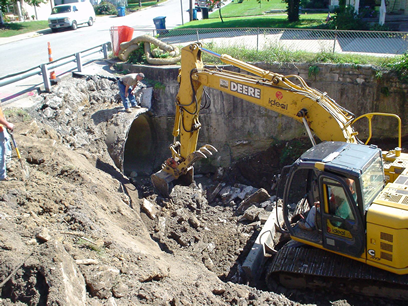 We determined the channel could be constructed as an open channel for the allotted construction budget without adversely impacting flooding in the area. 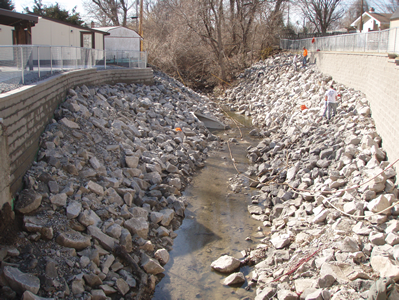 Intuition & Logic provided final design, plans and specifications in coordination with Ideal Construction and Aspen Design for retaining wall design. 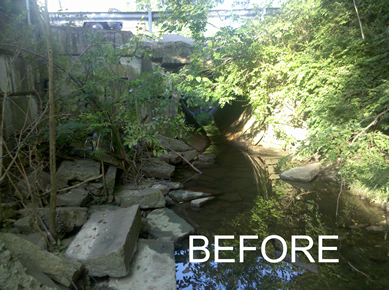 The project involved evaluating and designing channel cross section, restoration planting, utility coordination and relocating one outfall. HEC-RAS Modeling was used for open channel and InteliSOLVE Pipe for enclosed systems. 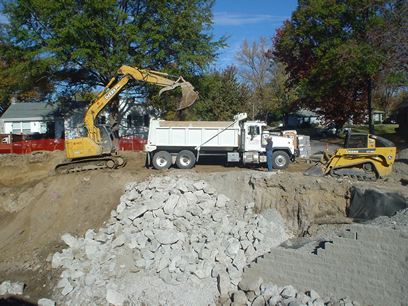 A residential driveway and a shed structure on concrete foundation was at the top of bank on one side. 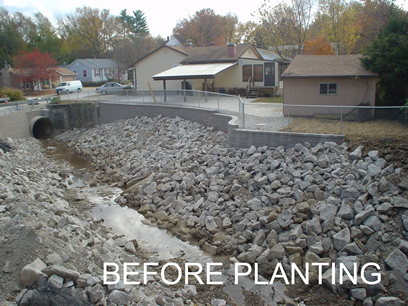 Designs were coordinated closely with this existing infrastructure so that the shed was not disturbed and the driveway was replaced.